In the 321 pages of the 2nd consultation document there is no mention at all about the use of mains water. When I asked a Sizewell “expert?? during the stage 2 consultation roadshow, he was unaware that Sizewell C would require 1,600 m3 mains water per day, and thought that I was asking about water that would be used to make tea and flush the toilets. When I explained how much water would be required, he suggested that it was not EDF’s problem as they would just buy the water from the water company and let them work out where it is to come from. An update of the mains water requirement written in response to the Stage 3 Consultation (29 March 2019) can be found here. Stage 3 consultation has arrived. Have you had a chance to check whether they have got round to mentioning their water requirements? I’m hoping it might be a show stopper or at least a nail in the coffin. 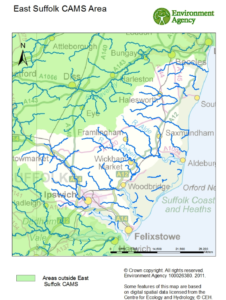 We have contacted EDF before the consultation about the water requirements and they said that it would be covered in their Stage 3 consultation document. It was not. At the consultation exhibition at Saxmundham on Saturday we were told that it has been taken into account but could give no details. We are therefore going to chase it up again. Since we were told similar things at stage 1 and stage 2 we do not have a lot of confidence. Unfortunately there are so many things that should have been a show stopper for nuclear (Fukushima, strike price etc) that the last nail in the nuclear coffin should have gone in long ago, the coffin buried and we could get on with properly sorting out our energy needs with better efficiency and renewables. Is Climate Change Based On Computer Models? Peter Lux Blog by Peter Lux is licensed under a Creative Commons Attribution-NonCommercial-ShareAlike 3.0 Unported License.